The long term goal of multiculturalism is the genocide of White Nations to be replaced by a 99% coffee coloured, dumbed down, debt-slave race to serve a 1% jewish master race. 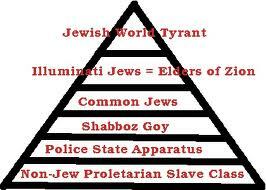 If the British Royal Family aren’t jewish then how would they fit in to the New World Order? Bearing this in mind, would the British Royal Family really go along with the multicultural genocide of their own People if they aren’t jewish themselves? If the Royal Family aren’t jewish what role will they have in the multicultural rainbow Utopia of the future? The British Royal Family. Do you really know whether they are White or jewish? 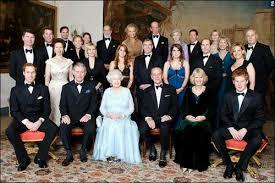 There have been widespread rumours since George 1 ( coronation 1714 ) that the British Royal Family are secretly jewish. In 1694 the Bank of England was created giving control of the British money supply to several jewish banking families. 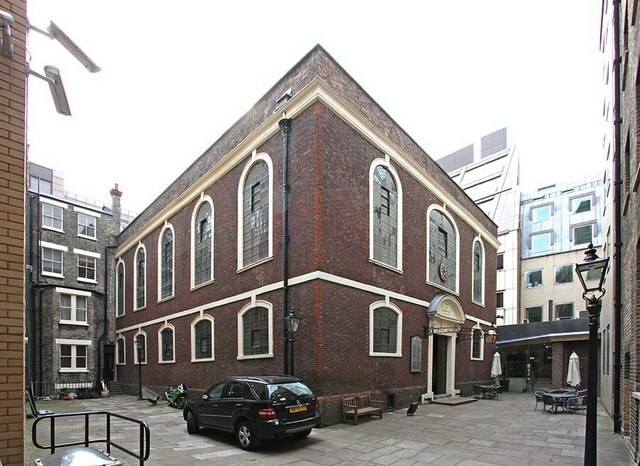 Seven years later in 1701 the Bevis Marks Synagogue was established in the City of London by the Bank of England. The Bevis Marks synagogue in the City of London. 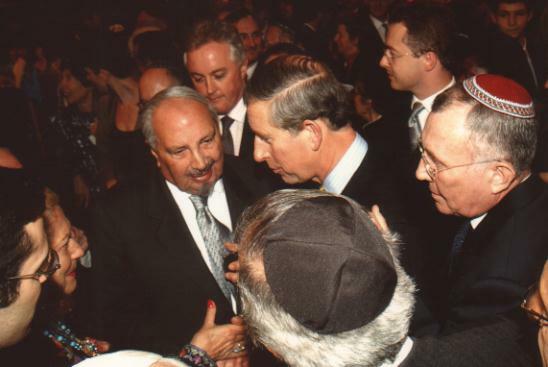 Renée and Naim Dangoor in conversation with Prince Charles in 2001 at the Bevis Marks synagogue. Queen Victoria always claimed to be a direct descendent of jewish King David. Several items in the Crown Jewels are engraved with the Star of David. In all Royal Palaces and other premises both Saturday and Sunday are treated equally as the Sabbath Day. The Prince of Wales, Charles, was circumcised by Rabbi Jacob Snowman M.D, at the time the leading mohel in London and the circumciser to the Royal Family. 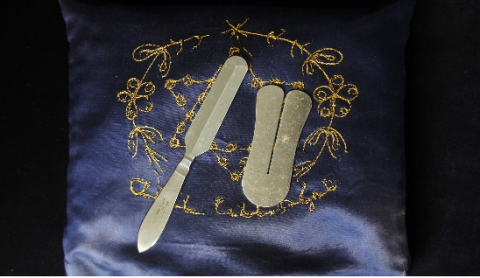 This has long been a source of pride within the British jewish community.Rabbi Jacob Snowman M.D has only ever circumcised jewish patients. All British Kings have been circumcised by jewish Doctors since 1714. Prince Charles has his own blue velvet kippa with a royal crest on it in silver to wear at jewish weddings , he also has other jewish regalia the exact purpose of which is not known. At ALL synagogues in the UK two daily prayers are always held, one for the Royal Family and one for the State of Israel. 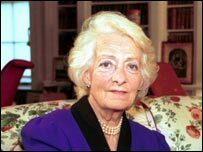 Princess Diana’s mother, Frances Shand Kydd, was jewish — born Frances Ruth Burke Roche, a Rothschild. Frances Shand Kydd – the jewish mother of Princess Diana. That is sufficient for Princess Diana to be certified as jewish, as well as her son, Prince William, the future King of England. 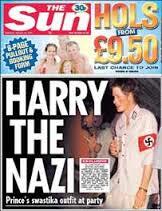 This also makes Prince Harry jewish , it is believed his appearance in a Nazi uniform at a party in January 2005 was his confused reaction to realising he was jewish. Prince Harry has firmly rejected his jewish roots. Princess Kate’s mother, Carole Goldsmith (maiden name ) is the daughter of Ronald Goldsmith and Dorothy Harrison who were both jewish. That makes Carole Goldsmith jewish and, according to jewish law, her daughter Princess Kate Middleton would also be jewish. Bearing this in mind that would make Prince William and Princess Kate’s baby boy Prince George born on 23rd July 2013 jewish as well. 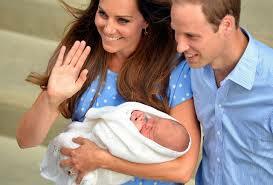 Princess Kate, Prince William and Prince George. Are they kosher? 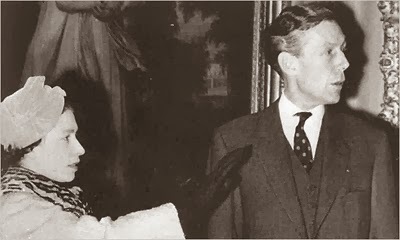 The Queen and her cousin Anthony Blunt. Blunt claimed the Royal Family were secretly jewish. This entry was posted in Anti-White, Bilderberg Group, Corruption, Genocide, Globalisation, Government, Jews, New World Order, NWO, Politics, Racism, Zionism. Bookmark the permalink. Well the Sauid Royal family as well as Wahad of the Wahabis are Jewish too. Jews have been taking over royal families in Europe and the Middle East for some time. There is literally 0 evidence to how that Lady Di’s moter was jewish. Also, if you read the Teleggeaph article cited in the text, it shows that Lady Di was precisely the one that decided to abandon circumcision. Theresa May has also admitted that her family is Jewish that is why she fully supports the EU, UN, and Israel.